For 1,500 years the Grianan of Aileach, a ring-shaped terraced fort made of neatly set stones, has crowned a 244-metre-high hill in the northwest of Ireland. 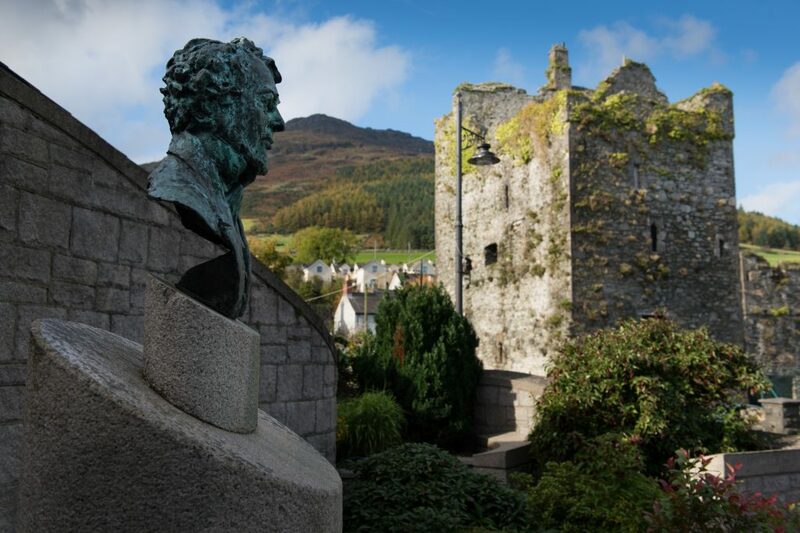 On a windy but clear October day, with shafts of grey light pushing through scudding clouds, writer Darach MacDonald climbs to the parapet of this ancient fortress of the powerful O’Neill clan. Off to the west, across low hills and green valleys, the mountains of Donegal withstand the cold Atlantic. To the northwest, ruffled by the gusting wind, lies Lough Swilly, an arm of the sea. Northward looms Inishowen, an isolated and mountainous peninsula, the most northerly part of the island of Ireland. To the east is Derry City, enclosed by its own ancient walls. MacDonald grew up on the Irish border during the Troubles, when British forces and Irish nationalist gunmen stalked each other through its woodlands and hedgerows. 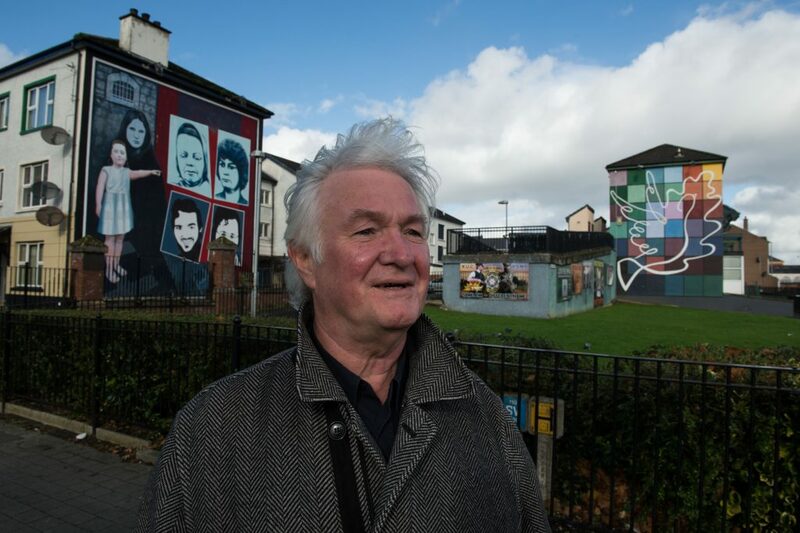 His 2018 book Hard Border: Walking Through a Century of Partition, which examines the geography and history of the border between the Republic of Ireland and Northern Ireland, makes him one of many writers and artists to find inspiration in this fraught line of partition. He’s up here to make a point. The border is somewhere in the green fields that lie between this hilltop, in the Republic of Ireland, and Derry City, in the United Kingdom, which is about five kilometres away on the banks of the River Foyle. Yet the landscapes are identical. The border itself is invisible. Created from nothing in 1921, after 26 of Ireland’s 32 counties wrested freedom from Britain, the border has never been loved by those who live along it. 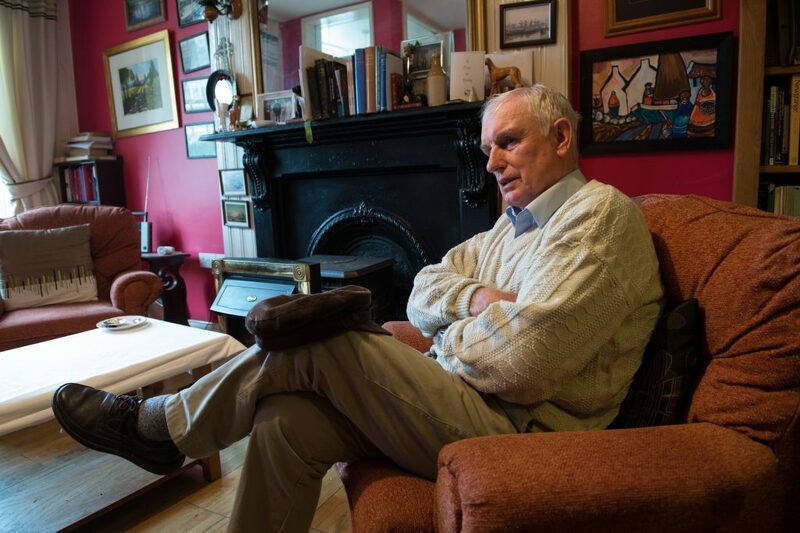 Partition divided families and farms, impeded business and travel, fuelled the birth of the Troubles in 1968. More than 3,500 people died before the Good Friday Agreement of 1998 put an end to the killing, in part by making this border — all 500 winding kilometres of it — almost irrelevant. Customs posts vanished. The British army withdrew. Northern Ireland remained firmly part of the United Kingdom, but in most day-to-day terms, the island became effectively one. Now, after 20 years of peace, old scars threaten to reopen. Britain’s vote to leave the European Union will — if a hard “Brexit” ensues — leave the south of Ireland in the European Union, the north outside it. Security experts fear that a different regulatory regime would bring a resurgence in smuggling, organized crime, local protests and militant activity. Yet the borderlands are still among Ireland’s best-kept secrets. To journey along the border is to discover the beauty of landscapes that few outsiders — even from Ireland — ever explore. There are ancient sites far from the usual tourist trails, and quiet villages and proud stone towns that were the ancestral homes of many early settlers in Canada and the United States. And talking to local writers, historians and residents reveals something curious: the idea that a border that few people wanted, and which currently exists in little but name, still endures in the imagination, not merely as a line of division but also as a common thread of identity. The border has sometimes been hard, sometimes soft, but it has always been porous for those who don’t fear it. Writer and journalist Susan McKay, a native of Waterside, a Protestant area just outside Londonderry (as most pro-British Northern Ireland Protestants prefer to formally call Derry City), remembers how, even during the Troubles, her family maintained its tradition of holidaying across the border, on the beaches of Donegal. 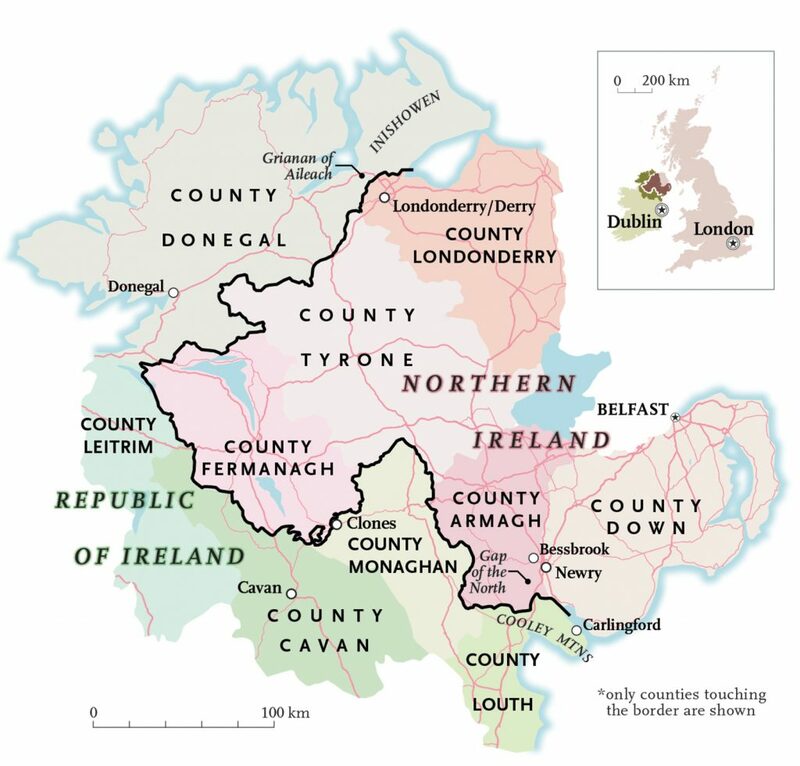 County Donegal has, in turn, always been Derry City’s main hinterland. Derry may be in a different country, but for Donegal people it is still their biggest town, a place to shop and work and party. Walking tours of Derry’s famous walls cannily repackage the city’s fractious history — an unsuccessful siege by the mainly Catholic army of James II in 1689 and the birth of the Troubles in the Bogside area among them. 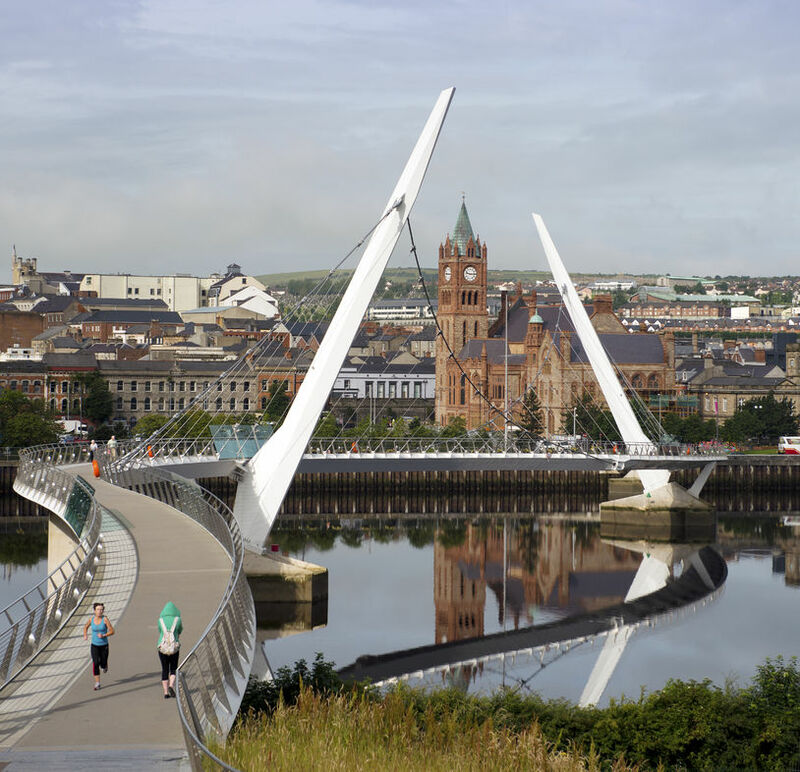 A pedestrian Peace Bridge across the River Foyle, completed in 2011 with European funding, now joins a mainly Catholic city centre to the predominantly Protestant Waterside district, restoring some shared sense of civic ownership. For many old settler families in Canada and the United States, these borderlands were a waypoint in a long westward migration. Some were already frontier folk — “Reiver” clans from another lawless border, the one between England and Scotland — when, in the early 17th century, they answered the call for a Protestant and British crusade to colonize Ulster, Ireland’s northernmost province. There, Ireland’s old Gaelic and Roman Catholic order was making its last stand. Little is known about Ireland’s history before Christianity arrived in the fourth or fifth century, bringing writing with it. Early Christian scribes were the first to record some of the myths, annals and sagas that survived from the previous long “Celtic twilight.” The greatest of these stories, the Cattle Raid of Cooley, was itself a border epic, centred in the eastern uplands where the modern frontier meets the Irish sea. It was here, in the Cooley Mountains of County Louth (then part of the ancient kingdom of Ulster) that a chieftain owned a bull so fine that Queen Maeve of Connaught, the most westerly province, sent her army to steal it. Its warriors stricken down by a curse, Ulster could only muster one hero to defend it: Cú Chulainn. The elements of his legend — invasion, blood feud, intimate betrayals and desperate last stands — echo down through millennia of Irish history. A later wave of invaders, Normans from England, arrived at the foot of the Cooley Mountains in the 12th century. To fortify the mouth of strategic Carlingford Lough, they built a handsome stone castle at Carlingford, now in the Republic. Thomas D’Arcy McGee, a Father of Canadian Confederation, was born near its ruin in 1825. His monument stands near the shore of the lough, gazing west toward his destiny. At the head of Carlingford Lough, the historic old port town of Newry sits astride the old Dublin-Belfast road. In the noir imagination of Eoin McNamee, a critically acclaimed local writer, this is still a place of mythic menace and glamour. To the south of Newry lies the steep, pine-clad Gap of the North, a choke point between the Cooley ridge and the highlands of south Armagh. Here, Cú Chulainn made his lone stand against Queen Maeve’s invaders. And here, during the Troubles of 1968 to 1998, the Irish Republican Army and the British fought a cold-blooded guerrilla war. Hunkered down in hilltop watchtowers, resupplied only by helicopter, the British soldiers were not the first outsiders to try and subdue this region of watchful hedgerows, hidden defiles, stubborn resolve and closely held tongues. The main army strongpoint at Bessbrook, once said to be the busiest military helicopter base on the planet, is now an abandoned and overgrown wreck. Yet even today south Armagh remains the least well-known of Ireland’s regions of natural beauty — even to the Irish themselves. Those who do turn off the busy Belfast-Dublin motorway, following signs for Forkhill and Crossmaglen, are well-rewarded. From the charming little Quaker town of Bessbrook the road winds southwest, through stark volcanic outcrops, to the 573-metre-high hill of Slieve Gullion. At the top, a Neolithic passage grave watches over the borderlands of counties Louth and Down, Armagh and Monaghan, rugged brown hills and rolling green fields spread out below like the maps of old battles. McNamee, who spent his youth criss-crossing this border, remembers a more recent trip he made with his brother, after the peace, to the Flat Lake arts festival near Clones. Ed O’Loughlin (@thatedoloughlin) is an Irish-Canadian journalist and the author of three novels, including Not Untrue and Not Unkind, which was longlisted for the 2009 Man Booker Prize, and Minds of Winter, a finalist for the 2017 Giller Prize.